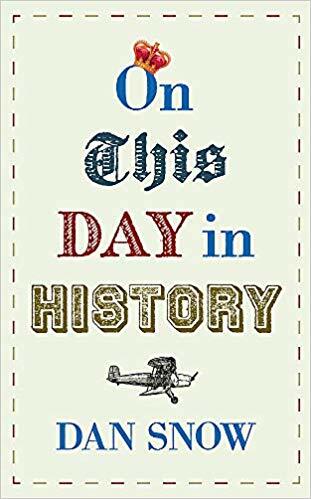 Last night Dan Snow talked about his new book ‘On This Day in History’, to a packed house at The Riverside Theatre in Woodbridge. The book, which is yet to go on sale, has 366 historical events set out as a historical diary. Naturally everyone radiated towards the date of their birthday, mine being the sinking of the Titanic on April 14th 1912, but the book is loaded with bite sized interesting facts and a really good Christmas present idea if you are stuck. Aside from this, the Sutton Hoo Ship, whilst not featured in the book was mentioned several times during the evening as a major historical find in this part of England. No doubt it would have been difficult to pin anything down to a specific date during the year but it would be good to think that the day that the replica hits the water would feature in a future edition of the same book. The Sutton Hoo Ship’s Company are hoping to work with Dan next year to help promote the project and make the story more widely available. A great evening, thanks Dan! ← Rosalind Love on rowing songs..